The concession is mostly grassy savannah, with highlands, hills and various water courses. The vastness of the territory favours the encounter with various animal species like: Elephant, Buffalo, Roan, Giant Eland, Lions, Hartebeest, Waterbuck, Hippos, Bushbuck, many species of small antelopes and different species of birds. All this contributes to the fact that this area, still not fully explored, is of sure interest to the hunter. There are four hunting camps in the savannah and they can easy be reached with comfortable 4×4 from Garoua or Ngaundere. The camps offer comfortable lodging in double rooms in bungalows with sleeping nets and services. 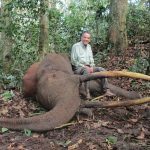 * 10% should be added to the trophy fees for the development and conservation program. Big licence: Allows for two species from GROUP A and four species from GROUPS B and C.
* The same license cannot be taken twice and the license does not allow hunting the same species twice. Assistance at the airport of arrival, assistance of a professional hunter, trackers and carriers, lodging in the hunting camp with full board, services of the camp staff, laundry service, first preparation of the trophies, unlimited use of 4×4 during the safari. 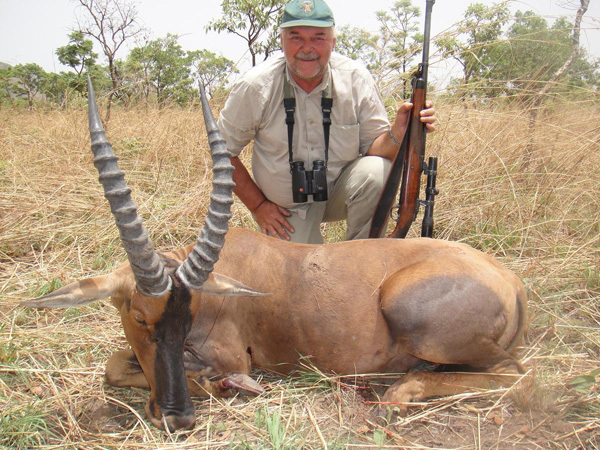 International, national and charter flights, transportation to the hunting area, big hunting license, trophy fees, personal expenses, hotels before and after the safari, hunting licenses, alcoholic drinks, dipping & packing ($ 1.200 – 1.500), trophy shipment, tips.